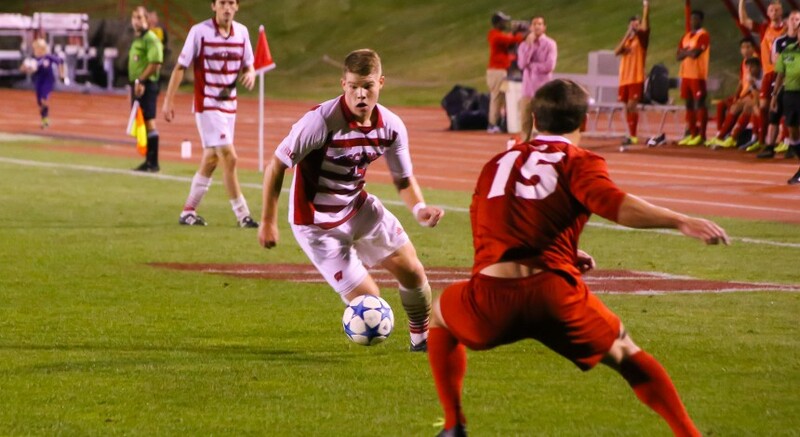 The Wisconsin men’s soccer team returned home Tuesday in a solid 2-0 non-conference win over Saint Louis University. The Badgers (4-2-1, 2-1-0 Big Ten) rebounded from their first conference loss of the year at Pennsylvania State University last week to take down the outmatched Billikins (1-4-3). The team showed little to no lingering effects from their double overtime loss against the Nittany Lions, scoring quickly off of junior middle forward Christopher Mueller’s free kick in the 12th minute to take the early lead. The score would hold at 1-0 until later in the match, when fellow junior middle forward Mike Catalano put the game away for good with his second goal of the season. 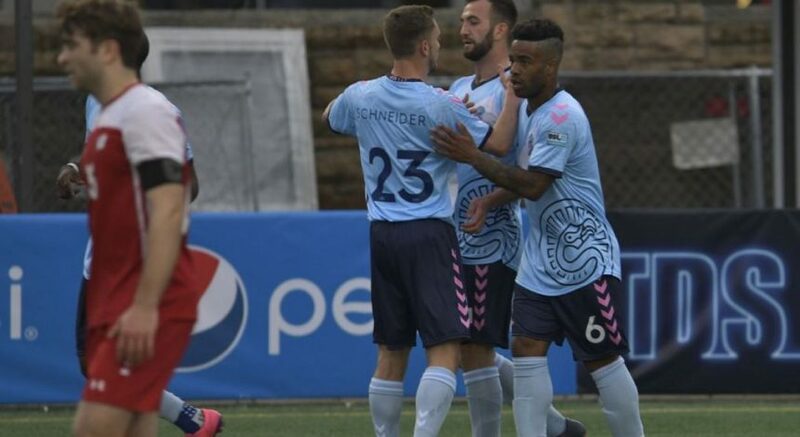 The strike came off an assist from junior forward Isaac Schlenker, who found Catalano in the middle of the box during the 73rd minute in what would be the game-ending goal. The theme of the match for the Badgers was defense when it mattered most, conceding only one shot on goal despite awarding the Billikens with four corner kicks throughout the match. For junior keeper Phillip Schilling, the clean sheet marked the second shutout of the year behind a defense that only allowed a single shot on goal. The Germany native was only forced to make one save in the match, albeit an impressive one, in the final minutes of the night. Offensively, the Badgers were able to control the game as they led the Billikens in shots 11-8. Of those 11, the squad was able to get five of them on target for an impressive shot on goal percentage of .454. The game was aggressive for both teams as each racked up nine a piece. The battle led to some frustration for both squads toward the end of the match with each team receiving a caution late in the game. In the 83rd minute, St. Louis defender Lein Hennert received his team’s only yellow card of the night, while Badgers defender Elan Koenig received a yellow card of his own in the 90th minute. The warning was the sophomore’s second of the season and is a cause for concern coming late in a clean, 2-0 win. The Badgers now look to continue their three game home winning streak as they return to conference play to take on winless Rutgers University at McClimon on Saturday.